2 / 3+OverviewFeaturesSpecsRequirementsFAQsDocs & DownloadsProfessional Audio/MIDI Interface wit..
ICE-16 records 16 tracks of audio directly to a USB key or hard drive. 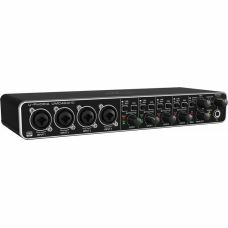 Just connect the 16 analogue ..
ICE-16D is a balanced I/O version of the popular ICE-16 multitrack recorder / interface. 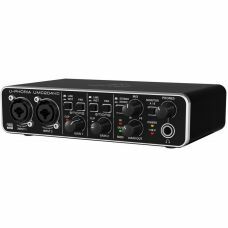 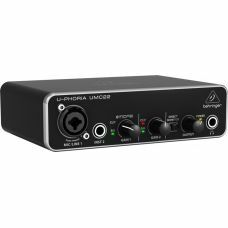 ICE-16D off..
OverviewSpecsWarranties and DocsBehringer's DescriptionReviews Behringer DeepMind 12 Analog Syn..
U-PHORIA UMC22Audiophile 2x2 USB Audio Interface with MIDAS Mic Preamplifier2x2 USB audio inter..
U-PHORIA UMC204HDAudiophile 2x4, 24-Bit/192 kHz USB Audio/MIDI Interface with MIDAS Mic Preampl..
A Value-packed Interface for the Self-recording MusicianIf you're putting together a home studio, th..
Focusrite's Scarlett 2i2 (2nd Gen) is designed to achieve the best sound and the fastest speed while..
Focusrite Scarlett 2i4 Second Generation 2 in / 4 out USB 2.0 Audio Interface is compact yet fl..
Focusrite Solo OverviewFocusrite // The New Second Generation Scarlett Range FocusriteTV FocusriteTV..
Focusrite's Flagship ScarlettThe second-generation Focusrite Scarlett 18i20 provides a ton of firepo..
Focusrite Sound, Powerful RoutingFocusrite's second-generation Scarlett 18i8 USB audio interface del.. 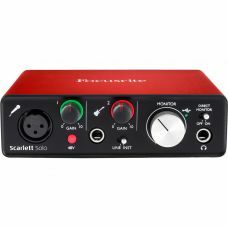 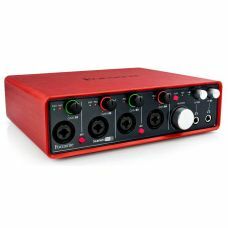 Huge Focusrite Sound in a Small PackageThe second-generation Focusrite Scarlett 6i6 USB audio interf..
YOU ARE HERE: HOME / TECH CORNER / TECH & GEAR NEWS / HYBRID ..